Texas Extension Disaster Education Network (EDEN) is a collaborative educational network dedicated to educating citizens about disaster mitigation, preparedness, response and recovery. 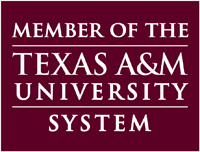 Texas EDEN is a part of the Texas A&M AgriLife Extension Service and is affiliated with National Extension Disaster Education Network. This site is intended to accommodate Texas AgriLife Extension agents and all Texas citizens by sharing education resources to reduce the impact of natural and man-made disasters for individuals, families and communities. Provide credible and reliable information relating to disaster preparedness and recovery for individuals, families, and urban and/or rural communities. Reduce the impact associated with disaster by disseminating educational materials related to disaster mitigation, preparedness and recovery.